Students and educators in the Northport East Northport School District participated in “Start with Hello Week” in another districtwide effort to practice and promote inclusion and tolerance. This program, created by Sandy Hook Promise, focuses on uniting people of all beliefs and backgrounds, and creating climates of inclusion, ultimately to protect children from gun violence. This weeklong program provided opportunities for fostering a warm and welcoming learning environment, promoting friendship and more. Throughout the district, each day of the week looked a little different. Bright and early Monday morning local home-town heroes greeted Bellerose and Dickinson Avenue students with warm smiles and hello’s as they descended off the bus and headed into school. 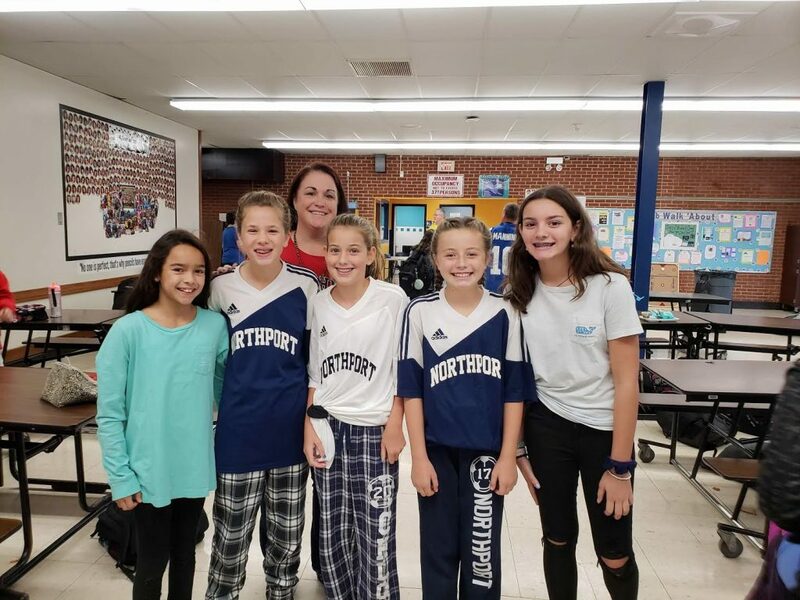 Northport High School provided students with the opportunity to take part in a photo booth that served as a pledge to say hello to others. Photos with students holding up their names were posted in the commons so other students could put faces to names and serving as a pillar of support for students who are looking to make more connects or maybe just looking to say hello. Later in the week, students participated in “Random Act Day” by leaving positive post-it notes for friends, staff members, or people they’ve never met before! The school was filled with smiles as students connected with others they didn’t necessarily know the week prior. “Throughout the district we will continue to seek ways to cultivate respectful, dignified relationships that connect us all,” said Superintendent of Schools Robert Banzer.